Is the latest of Peter Ryan’s oil paintings, and is the first “man on a rock” series painting since his 2011 exhibition. 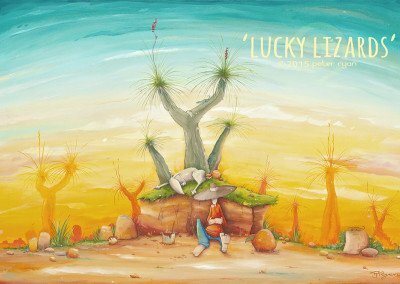 The ‘Man on a rock’ series is Peter’s most popular, depicting the man and dog among the Australian environment and iconic locations., and although there have been many artworks, such as pencil works with this characters in them, it was a surprise that with only a couple of originals still available for sale, three years had past without a large painting. 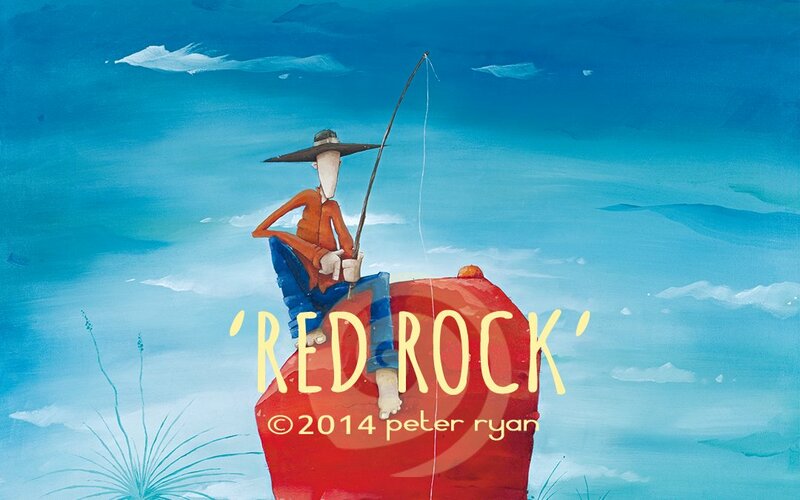 The original of Red Rock is currently on sale at Blue Lizard Gallery Joondalup, and has had a great response already.